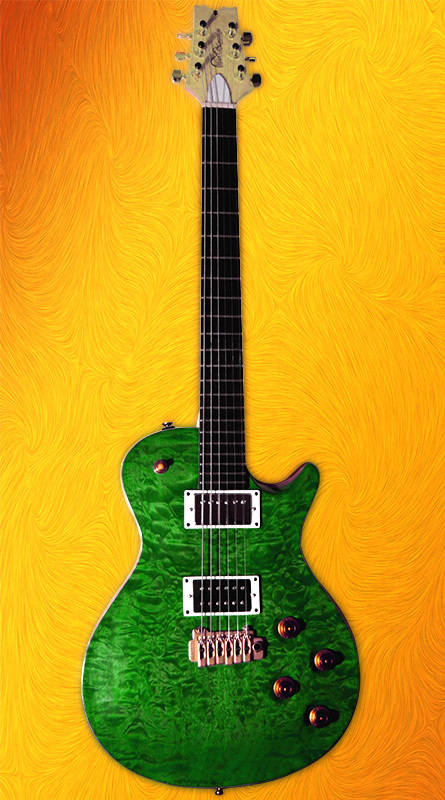 Shape: An electric guitar with an arched top in standard PRS shape. Body: It is sandwich board from quilted maple and mahogany. 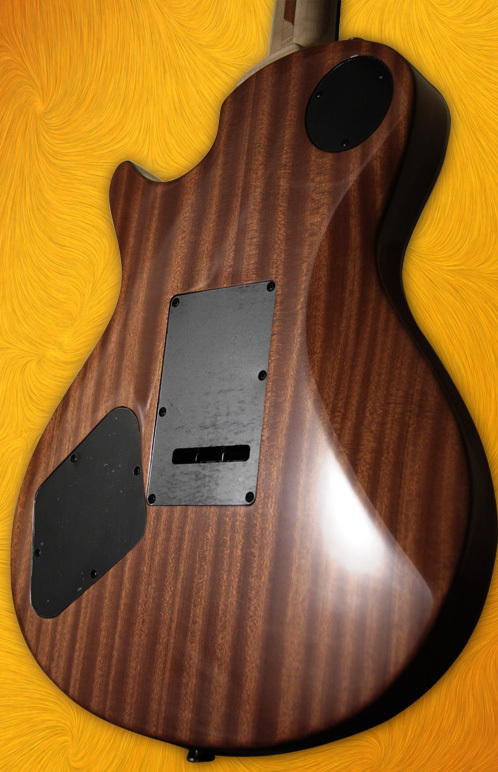 No inside holes or routing - pure solid body. 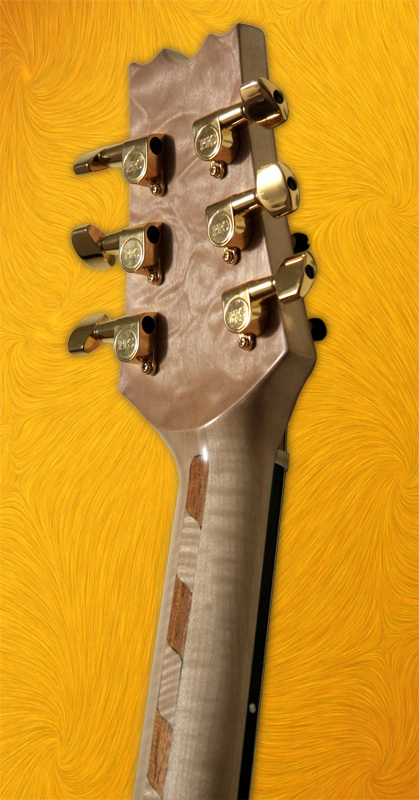 Neck: A maple/mahogany combination with rope intarsia glued in the neck pocket at the body. 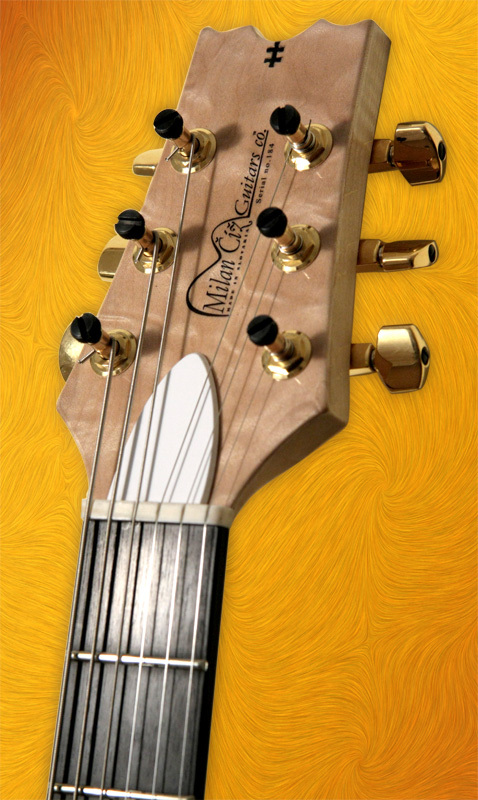 A neck is shaped in C profile, 15" radius and a declination of the head is 15 degrees. 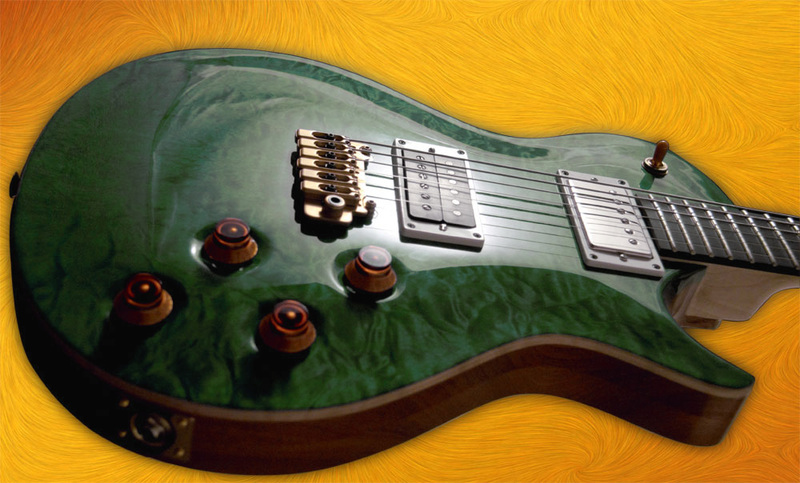 Other: Wilkinson tremolo works together with PRS locking tuners for always "stay-in tune" state..
Sound: Full rich sounding guitar for standard or low tuning. 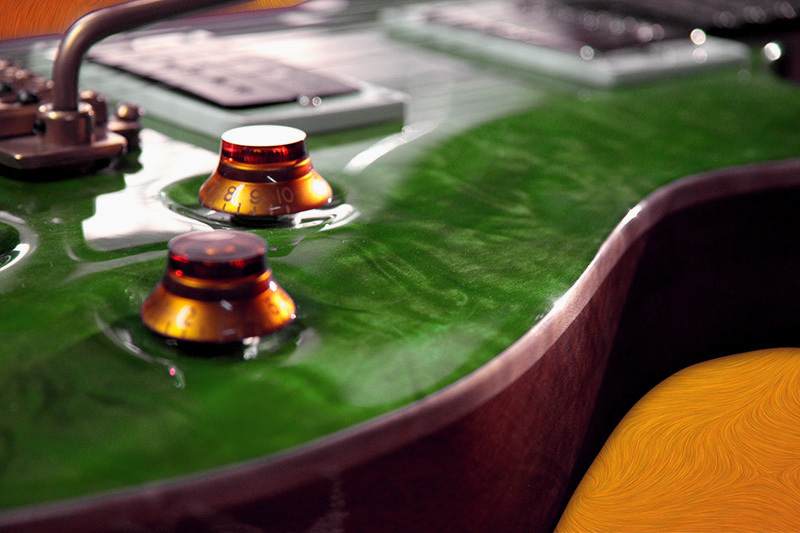 Pickups create final sound color, this time it is PRS® Mark Tremonti models.